Caitlin dur Halybard: Princess of Halybard, Priestess of the Serpent, Head of House Halybard, ruler of the demon underworld, member of the Chaos High Council, daughter of Benedict and Aelle, mother of Morgan and Eldred, innocent mercenary. Her symbol is an open flame. She is played by Dan Winningham. Claudio the Moor: Prince of Chaos, member of the Chaos High Council, son of Delwin and Fatima, half brother of Kaedric, married to Sky, father of Isaac and Graham, played by Robert Frazine (Shade). Elaine Madaari: Head of House Madaari of Glorethien. Played by Julie Raybon, she found life in another incarnation after "Shadow Rising" was canceled. Eldred Halybard: Duke of Halybard and Amber, son of Caitlin and Sandr, younger twin brother of Morgan, adopted son of Merlin. Played by Liz Mieczkowski. Jasper Wickling: Viscount of Tamlyth, second in line for head of House Wickling, son of Job and Loreth, younger brother of Corliss, older brother of Sira, Tilane, Feyza, Wesley, Neville, Poul and Adriana. Played by Wendi Strang-Frost, he found life in another incarnation in the "Sharper Than a Serpent's Tooth" PbEM after "Shadow Rising" was canceled. Melanie dur Kaedric (also known as Miranda): Queen of Chaos, member of the Chaos High Council, daughter of Brand and Tianen, twin sister of Sylvester, half sister of Sandr and Maron, married to Kaedric, mother of Alora, Ian, Sabrina and Elizabeth. Although she was born Miranda, she chose to conceal her true name from a very early age. Consequently, only her parents, her twin and her husband are aware of her birth name. Her symbol is a twisting serpent, and her colors are light green and royal blue. Played by Kris Fazzari, she found life in another incarnation in the "Chaos Rising" PbEM/"Queens of Amber" FtF after "Shadow Rising" was canceled. Mok: Son of Eric and Ismene, Shandril's half brother, Savior of the Universe. Played by Chris Smith. Raj: Son of Kaedric and Abigail, elementalist and adventurer. He is played by Jill Pritts. Ulysses: Amber ambassador to Chaos, son of Perseus and Flora, Lisandra's younger twin brother, father of Oriana, living Trump and fun guy. His symbol is a yellow smiley face button, and his colors are red and blue. He is played by Dann Fuller. Damion: Son of Dworkin and Cymnea, raised by Cymnea, Deirdre and Benedict, half brother of Osric, Finndo, Benedict, Joseph, Mandor and Maron, married to Marland, father of Tristan, once Defender of Amber, current King of Avalon, tormented by Brand, who believed that Damion was his son. He was played by Joe Velez in "Ghosts and Shadows." Delwin: Son of Oberon and Harla, Sand's twin brother, father of Kaedric and Claudio, grandfather of Raj, Alora, Ian, Elizabeth, Isaac and Graham. He fought against Amber at some point, and his spirit was imprisoned in the Taormin, while his body was killed. His symbol is a scroll and a sword, crossed, and his colors are parchment yellow and black. Finndo (deceased): Two-time King of Amber, son of Oberon and Cymnea, brother of Osric, Benedict and Joseph, half brother of Damion, Mandor and Maron, father of Jubal. He recently began a bid to become Head of House Halybard, by invading the House with his armies. Although he was successful in this, he was unable to kill Caitlin, to seal his position. He was assassinated by Ragnar under Kaedric's orders. Joseph: Son of Oberon and Cymnea, brother of Osric, Finndo and Benedict, half brother of Damion, Mandor and Maron, father of Aelle, grandfather of Caitlin, great-grandfather of Morgan and Eldred, currently trapped in Shadow. Random: King of Amber, son of Oberon and Paulette, Mirelle's older brother, former lover of Morganthë, married to Vialle, father of Archimedes and Martin, grandfather of Dakota, Vain, Alaric, Beatrice and Chance, great-grandfather of Sky, great-great grandfather of Isaac and Gareth. His symbol is a small drum set with drumsticks crossed above it, and his colors are orange, red and brown. Archimedes: Crown Prince of Amber, son of Random and Morganthë, Martin's older brother, married to Laughter, father of Dakota, Vain, Alaric, Beatrice and Chance, grandfather of Sky, great-grandfather of Isaac and Gareth, wielder of Song. He has several fragments of the pre-Ragnarok Jewel of Judgment implanted in his chest, and a strong affinity for the current Jewel. His symbol is a couple of clown fish amid anemone tentacles, and his colors are brown and green. He was played by Wendi Strang-Frost in "Ghosts and Shadows" and lived on for a time in another incarnation in the "To Reign In Hell" PbEM. Cameron: Son of Caine and Rhiannon, wiseass, member of House Vertix. He was played by Liam Hoekenga in "Ghosts and Shadows." Gareth: Son of Corwin and Sky, younger half brother of Merlin, Killian and Isaac. Laughter: Princess of Amber, daughter of Mandor and Fiona, foster daughter of Caitt, foster sister of Calamus, Elizabeth and Rosemary, married to Archimedes, adoptive mother of Beauty, mother of Alaric, Beatrice and Chance, wielder of Sequence. Her colors are green, lavender and white, and her symbol is an apple tree. She was played by Merrie Haskell in "Ghosts and Shadows" and lived on for a time in another incarnation in "Outrageous Fortune." Martin: Crown Prince of Rebma, son of Random and Morganthë, Archimedes' younger brother. His symbol is a radiation symbol. Shandril: Daughter of Eric, but never acknowledged by him, Mok's half sister, ally of Maron. Tristan: Son of Damion and Marland. Alaric: Dark-haired son of Archimedes and Laughter, younger half brother of Dakota and Vain, Beatrice's twin brother, older brother of Chance. Beatrice: Green-haired daughter of Archimedes and Laughter, younger half sister of Dakota and Vain, Alaric's twin sister, older sister of Chance. She is named after Benedict. Chance: Daughter of Archimedes and Laughter, younger half sister of Dakota and Vain, younger sister of Alaric and Beatrice. She is named after Random. Dakota (also known as Hair Like Grass): Prince of Amber, junior Amber ambassador to Chaos, son of Archimedes, older half brother of Vain, Alaric, Beatrice and Chance, father of Sky, grandfather of Isaac and Gareth. Graham: Son of Claudio and a Jezetti he defeated in combat, younger half brother of Isaac. When Claudio bested the Jezetti woman, he was told to either kill her or impregnate her, as per their custom. He chose the latter. Since the resulting child was a boy, and therefore of no use to the Jezetti, Graham was given to his father to raise. He is named after Caitlin's mentor. Isaac: Son of Claudio and Sky, older half brother of Gareth and Graham. The result of one lone night that his parents spent together, Isaac grew up in Corwin's realm, raised by Corwin and Sky. He met his father once, briefly, when he was six, and then had no contact with him for ten years, until Sky left Corwin's realm to return to Amber. Oriana: Baby daughter of Ulysses and Beauty. Vainomoinen (Vain for short): Prince of Amber, son of Archimedes and a Kalevalan woman, younger half brother of Dakota, older half brother of Alaric, Beatrice and Chance. Sky (short for Hair Like Sky): Daughter of Dakota, granddaughter of Archimedes, former consort of Corwin, married to Claudio, mother of Isaac and Gareth, Native American babe. She was played by Kristin Myers in "Ghosts and Shadows." Morganthë (deceased): Daughter of Moire, lover of Random, mother of Archimedes and Martin, grandmother of Dakota, Vain, Alaric, Beatrice and Chance, great-grandmother of Sky, great-great grandmother of Isaac and Gareth. She committed suicide shortly after Martin was born. Alora Kaedric: Crown Princess of Chaos, daughter of Kaedric and Melanie, older sister of Ian and Elizabeth, older half sister of Sabrina. She is 5'11" tall and thin, with dark red hair and the same blue eyes as her father. She was born a living Trump, due to the fact that her mother was one while she was pregnant, but the effect has long since worn off. Because she couldn't really feel pain as a child, she grew up a bit of a daredevil, a tendency that still remains with her as an adult. Elizabeth Kaedric: Princess of Chaos, ten-year-old daughter of Kaedric and Melanie, younger sister of Alora and Ian, younger half sister of Sabrina. She has dark auburn hair and her mother's green eyes. She is by far the most sensitive of Melanie's children. Ian Kaedric: Prince of Chaos, Head of House Kaedric, son of Kaedric and Melanie, younger brother of Alora, older half brother of Sabrina, older brother of Elizabeth. He is 5'11" tall and looks much like his father, with black hair and blue eyes. He is extremely intelligent. Kaedric dur Logrus: King of Chaos, former Guardian of the Logrus, son of Delwin and Gaitha, half brother of Claudio, married to Melanie, father of Alora, Ian, Elizabeth and an unknown child by the Serpent. Kaedric is 6'3" tall and takes after his mother in hair and eye color. His eyes are glacially cold, and he holds himself with amazing dignity. He wears his hair at shoulder length, but keeps it tied back, and he sports a small gold medallion, usually kept under his clothes. His symbol is a falcon in flight, with a scroll in its claws, and his colors are gray, blue and black. Cymnea Halybard (also known as Jen) (deceased): Priestess of the Serpent, Head of House Halybard, ruler of the demon underworld, daughter of Sitra, married to, at one time or another, Oberon, Dworkin, Job, Brand, Guariel and Edon, mother of Osric, Finndo, Benedict, Joseph, Damion, Mandor and Maron, grandmother of Crispin, Faine, Orrin, Jubal, Caitlin, Allanna, Aelle, Tristan, Roland and Laughter, great-grandmother of Dorrienne, Morgan, Eldred, Beauty, Alaric, Beatrice and Chance, great-great-grandmother of Dorian and Oriana, great-great-great-grandmother of Dara, great-great-great-great-grandmother of Merlin. She was killed by Caitlin in combat. Her symbol was a robin. Edon: Priest of the Serpent, once married to Cymnea. Morgan Halybard: Daughter of Sandr and Caitlin, older twin sister of Eldred. Crispin Halybard: Son of Osric, brother of Faine and Orrin. Faine Halybard (deceased): Son of Osric, brother of Crispin and Orrin. He died during Caitlin's assault of Halybardways. Orrin Halybard (also known as Arawn): Son of Osric, brother of Crispin and Faine. In the pre-Ragnarok history, he allied with Chaos to lead an attack on Amber which culminated in the events of Raganarok. Post-Ragnarok, he allied himself with Caitlin in her efforts to overthrow Cymnea, and has served as her right-hand man ever since. Belen Amblerash: Head of House Amblerash. Lisandra Atherton: Heir to House Atherton, daughter of Perseus and Flora, Ulysses' older twin sister. Perseus Atherton: Head of House Atherton, former lover of Flora, father of Lisandra and Ulysses. Dermot Helgram: Untitled youngest son of the Head of House Helgram, a dilettante and something of a fop. Aelle: Hellmaid daughter of Joseph, mother of Caitlin, grandmother of Morgan and Eldred. Roland Sawall: Son of Mandor and Peri, father of Beauty, grandfather of Oriana. In the pre-Ragnarok history, he was killed by House Wickling. Niccolo Vertix (deceased): Secret Head of House Vertix, Chaos ambassador to Amber, member of the Chaos High Council. He never completely recovered from taking the Logrus, and was prone to occasional fits of madness. Eventually, he was assassinated by his own house, who only then revealed that he had been their Head. He was played by Steve Castanien in "Ghosts and Shadows." Sylvester dur Vertix: Chaos ambassador to Corwin's universe, daughter of Brand and Tianen, twin sister of Melanie, half sister of Maron and Sandr. Her known form is that of a male, and it is not commonly known that she is famale, nor that she and Melanie are twins. Her symbol is a leopard rampant, and her colors are gold and green. Sylvie: An identity used by Sylvester in the pre-Ragnarok history. She claimed to be a daughter of Ulysses and Tianen, in order to spy on Cameron and Amber for House Vertix, and later for Orrin. Sylvie's symbol was a lioness rampant, and her colors were gold and green. Rhiannon dur Vertix: Cameron's Chaosite mother, spy for House Vertix. Job Wickling: Head of House Wickling, formerly married to Cymnea and Loreth, father of Corliss, Jasper, Sira, Tilane, Feyza, Wesley, Neville and Poul. He was the King of Chaos in the pre- Ragnarok history. Corliss Wickling: Heir to House Wickling, son of Job, older brother of Jasper, Sira, Tilane, Feyza, Wesley, Neville and Poul, rather rash and easily angered. Maron: Son of Brand and Cymnea, half brother of Osric, Finndo, Benedict, Joseph, Damion, Mandor, Melanie, Sylvester and Sandr, currently on Mandor's diplomatic staff. Sabrina: Daughter of the Serpent and Melanie, younger half sister of Alora and Ian, older half sister of Elizabeth. She is 5'6" tall and has the look of someone who hasn't lost their baby fat, appearing almost cherubically beautiful. Her hair is strawberry blond, and her eyes are hazel, at times gold. Her parentage is most obvious in her tongue, which is forked. She has an unknown half sibling, the child of the Serpent's female half and Kaedric, who vanished after ripping its way out of Kaedric's abdomen. Tianen: Chaosite exiled from House Atherton, once married to Brand, mother of Melanie and Sylvester, grandmother of Alora, Ian, Sabrina and Elizabeth. In addition to the blood of Atherton, she also has the blood of House Vertix, although she maintains no public affiliation with that house, and her exact relation to it is unknown. Her symbol is a wolfhound attacking a wolf, and her colors are black and gray. Guariel: King of the Demon Underworld. Ashtolat: Son of Prawn, half brother of Calamus, Elizabeth and Rosemary. He is a full-blooded na siogai and fights for Dexter. His mother is unknown, but he has stated that he never knew his father, although he knows who he was. Beauty: Daughter of Roland and Elizabeth, adopted by Laughter, one of Ulysses' many lovers, mother of Oriana. Both an adult pre-Ragnarok version and the two-year old post-Ragnarok version currently exist. Caitt: Former lover of Prawn, Laughter's foster mother, mother of Calamus, Rosemary and Elizabeth, grandmother of Mandragora and Beauty, great-grandmother of Oriana. Calamus (deceased): Son of Prawn and Caitt, Laughter's foster brother, Elizabeth and Rosemary's brother, Ashtolat's half brother, lover of Laughter, wielder of Song, killed by Laughter during the Mergence War when he betrayed her to the na siogai. Elizabeth Shakespeare (deceased): Daughter of Prawn and Caitt, Calamus' sister, Rosemary's identical twin sister, Ashtolat's half sister, Laughter's foster sister, lover of Roland, mother of Beauty, grandmother of Oriana, died in childbirth. Mandragora (deceased): Infant daughter of Senlin and Rosemary, killed by the na siogai at the beginning of the Mergence War. Prawn (deceased): Dexterian prince, former lover of Caitt, father of Calamus, Rosemary, Elizabeth and Ashtolat, grandfather of Mandragora and Beauty, great-grandfather of Oriana. He tried to kill his children by Caitt soon after they were born, but was instead killed by Julian, who was there exchanging Laughter for Elizabeth. It is unknown who he fathered Ashtolat on. Rosemary (deceased): Daughter of Prawn and Caitt, Calamus' sister, Elizabeth's identical twin sister, Ashtolat's half sister, Laughter's foster sister, married to Senlin, mother of Mandragora, killed by the na siogai at the beginning of the Mergence War. Senlin: Lord High Chancellor of Foil, Laughter's advisor, married to Rosemary, father of Mandragora, wielder of Curetana. Abigail (deceased): Shadow of Melanie, raised by Sand, former lover of Kaedric, mother of Raj. Unable to handle the knowledge that she wasn't "real," her goal was to make Amberites admit that she was just as powerful as they were. She was killed by a mercenary known as Ragnar, under Kaedric's orders. Gaitha (deceased): Mother of Kaedric, grandmother of Raj, Alora, Ian and Elizabeth. She was an incredibly beautiful prostitute, slender as a blade and willowy, with perfect pale skin, intensely blue eyes and long, black hair. Her only flaw was that she never smiled. She sold Kaedric into slavery when he was a small child, and was then killed by a thief for the money she received. Gandin (deceased): Brother of Fatima, Claudio's uncle and foster father. His symbol was a silver helmet on a green field. Mazadan: Prince of Tul, Claudio's friend and liege. Marland (deceased): A Shadow woman, married to Damion, mother of Tristan, killed by Brand. Chantille Vale: Melanie's Shadow, tech. and culture is that of 19th century England. Curetana: Senlin's sentient psycho sword, forged by Calamus, originally wielded by Rosemary. The Eye of Peace: The second eye of the Serpent. In the pre-Ragnarok history, it was stolen by six Chaos houses and used by them to create their own universes. When brought within close proximity of the Jewel of Judgment, or anyone attuned to the Jewel, both the Jewel and the Eye grew unbearably hot, and those who were attuned suffered massive headaches. Foil: Laughter's Shadow, where she was raised. Barred to access via Shadow shifting unless one recites a mantra while crossing into it. Tech. is 16th century, around the time of Shakespeare. Foil consists of three lands: the Midlands, Dexter and Sinistre, inhabited by humans, na siogai, and puca, respectively. In the pre-Ragnarok history, most of the na siogai were killed, and the puca enslaved, by Laughter and her armies in the Mergence War that was fought between the humans and the other two races. Laughter is Queen of the humans. Ivory: One of Kaedric's Shadows, it is one of the two major poles in the Atlantis-Ivory magic Nexus. Ixaxis: Kaedric and Claudio's home Shadow, it is owned by Sand, who runs a school for sorcerers there. The Jezetti: The Hellmaids belonging to House Hendrake. It is a custom of the Jezetti that if they are defeated in combat by a man, they must offer themself to the man, and either bear his child or be killed by him. If they are defeated in combat by a woman, they may invite her to join the Jezetti. The na siogai: One of the races inhabiting Foil, they are sometimes referred to as the fair folk, and often referred to as Dexterians, as they hail from the part of Foil known as Dexter. They are taller than humans, fair, and slender, with pointed ears and large, slanted eyes. They have the same life span as humans, but tend towards multiple births, the usual number being two or three at a time. It is possible for humans and na siogai to interbreed, but it is inevitably dangerous for the mother. Na si possess more magic overall than the other races of Foil. Nevermiss and Trueblade: Caitlin's Pattern blades, constructed for her by Benedict at Tir-na Nog'th. The puca: One of the races inhabiting Foil, they hail from the part known as Sinistre, and are sometimes referred to as the dark folk. They are shorter than humans, averaging around four and a half feet tall, with lots of body hair, but have the same pointed ears and large, slanted eyes as the na siogai. Their life span is on par with humans, but they tend to birth litters of eight to ten at a time, so human/puca crossbreeding almost never happens. Ragnarok: Event in which Dworkin rewound time by seven Amber years. Some of those who were still alive at the time of Ragnarok remember all the events that took place in those seven years, but no one else does. Sequence: Laughter's sentient psycho sword, forged by Calamus. Song: Archimedes' sentient psycho sword, forged and originally wielded by Calamus. The Taormin: Created by Sand, an artifact that majorly boosts the powers of the wielder (a Spikard); Delwin's home for the past several hundred years. Kaedric, Ixaxis, Serii and the Taormin are derived from the excellent novel Fire Get by Cheryl J. Franklin, published by DAW Books, Inc., © 1987. All Trumps displayed on this page, or in the PC description pages, are the work of Wendi Strang-Frost and are © by her. Please contact her before reproducing them in any fashion. For more examples of her work, check out her web page, her online comic "Johnny Public" or the "Wavedancers" story in Elfquest. 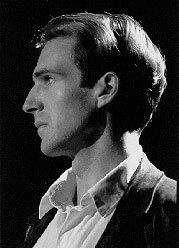 The image of Jasper Wickling is of Ralph Fiennes from a stage production of Troilus and Cressida, scanned from the book Shakespeare in Performance, edited by Keith Parsons and Pamela Mason. Last modified on January 10, 2005 by Kris Fazzari.